Within the question is the problem. This question is asking how a parent can control and change rather than guide and influence the teenager. Trying to use your power over a teenager almost always leads to resistance. Teenagers are trying to become independent which is a different developmental stage than when they were younger. As we discussed the situation, I found out that the son plays pool with his dad occasionally and that he is better than his dad. In fact, their son is teaching his dad how to be a better pool player. The son is the teacher and the parent is the student. They decided to make it a weekly outing. The wife asked, “Are you OK with being the student?” The dad replied, “Yes.” Sometimes parents can fear a loss of power when their kids are in the teaching position. How wonderful teenagers feel when they have knowledge or skills that their parent doesn’t have. And it’s even better when the parent acknowledges their abilities and wants to learn from them. It’s great if each parent has special time to learn from a teenager. This mom has decided to learn a language from her son even though she doesn’t really want to. She might even share her resistance to learning which will teach another value. It’s important to be flexible and open to new experiences in relationships. She will be modeling the exact value to her son that earlier she wanted to try and force onto him. I can’t wait to hear how their son will open up as a result of their special learning time together. 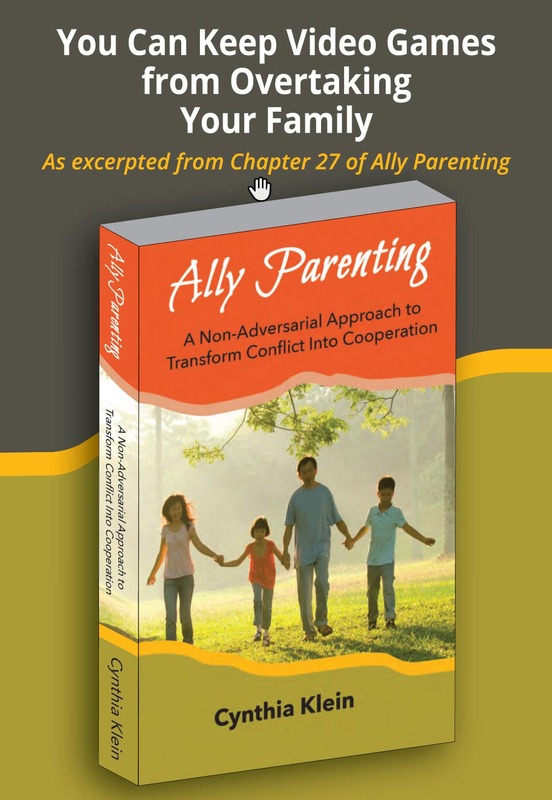 ©2014 Cynthia Klein, Bridges 2 Understanding, has been a Certified Parent Educator since 1994. She works with parents and organizations who want more cooperation, mutual respect and understanding between adults and children of all ages. Cynthia presents her expertise through speaking and private parenting coaching sessions. She is a member of the National Speakers Association and writes the Middle School Mom column for the Parenting on the Peninsula magazine. She works with parents of 4 – 25 year-old children. Contact Cynthia at bridges2understa.wpstagecoach.com, [email protected],com, or 650. 679.8138 to learn more about creating the relationship you want with your children.